NextBeginning Specialty Growth in Rural Nursing? If you want to use your education and full scope of practice, a passing NCLEX score is necessary. No surprise there! This test technically determines if you can use your education to care for people. No pressure, right?! The NCLEX is The National Council Licensure Examination by the National Council of State Boards of Nursing (NCSBN), and it is designed to make sure you are safe for your first year of nursing work. The 2019 test is very similar to the test graduates have taken for the past three years, so no worries there. 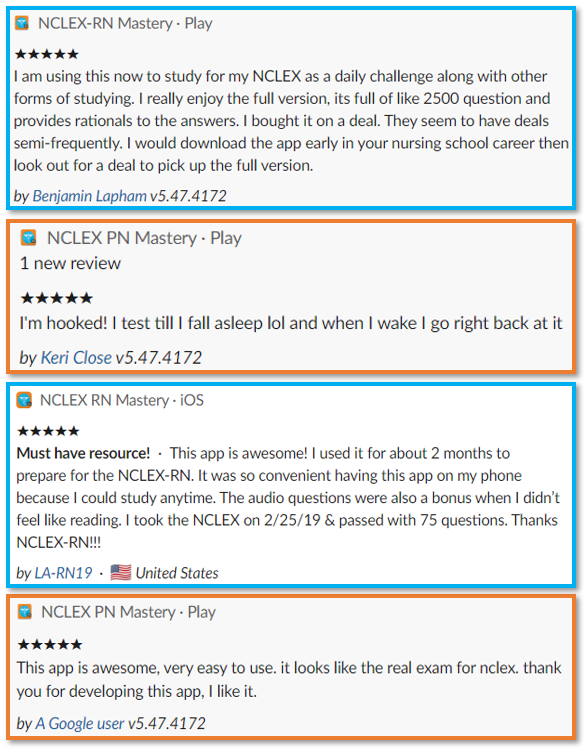 Try the NCLEX RN Mastery mini-simulation of the NCLEX or the NCLEX PN Mastery mini-simulation of the NCLEX. Naturally, there is so much talk about this test, and it is important. It is not the boogeyman under the bed, though! It is just the most objective way to ensure that each nurse is safe. Forget all the tricks, myths, and rumors. Treat multiple response items like true or false questions. Look for choices that stand out. Things you have seen “in real life” do not apply. Determine what you are being asked. Do something at the bedside, fast! Focus on thinking, not content. Step 1 : Look at the NCSBN website. 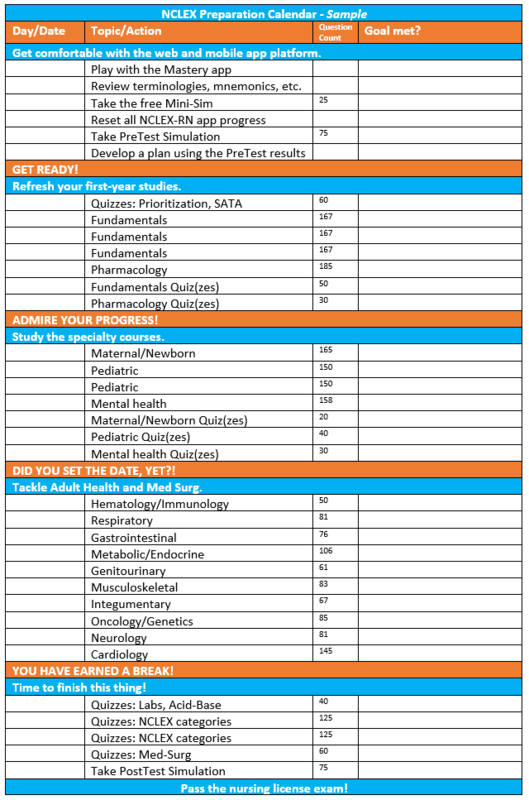 ➔ Use the NCLEX-RN® (National Council Licensure Examination) test plan. 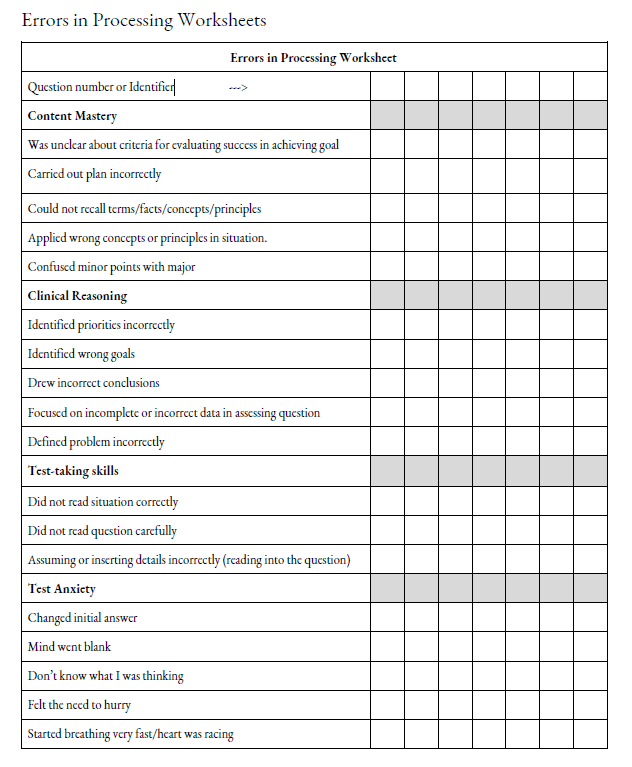 ➔ Pay attention to the sample item call-out boxes and Appendix A in the test plan. ➔ Consider what is important from each category. 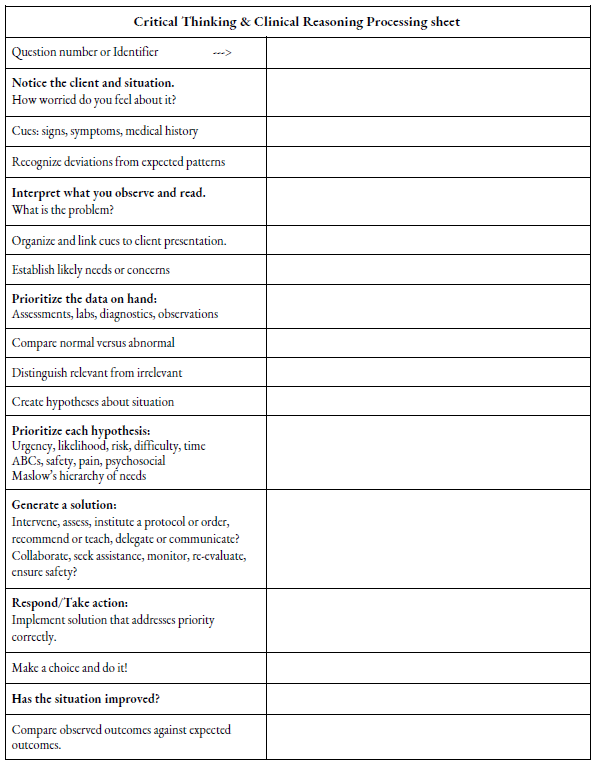 ➔ Try writing your own questions, using their guidelines, for a little active learning! ➔ Do not guess about what is on the exam. The NCSBN tells you what you need to know. Step 2 : Recognize your learning needs. BE REALISTIC. 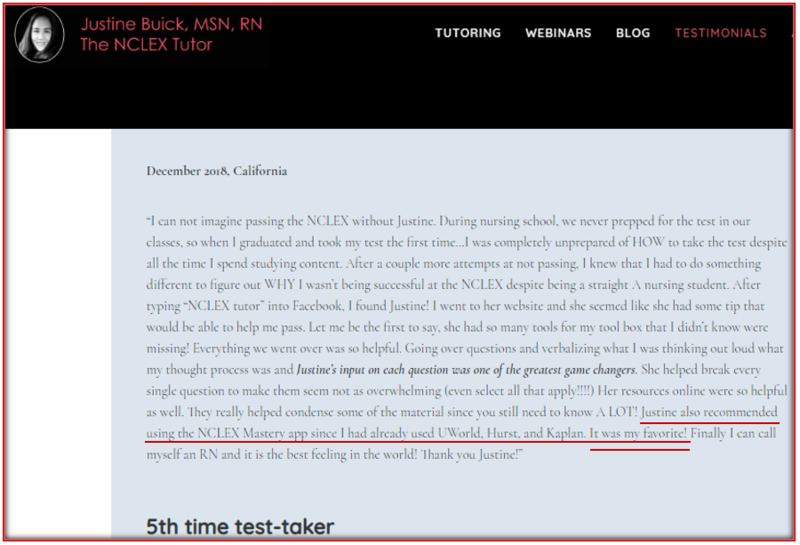 NCLEX Mastery can really help here! Use a systematic method to ensure that you understand the nursing content and the questions being asked. This helps redirect your study efforts to make sure you are reading what you need to and addressing any other test-related problems. Everyone gets at least a bit anxious during an important exam! Some people have true test anxiety, too. Whether you are a little nervous or truly experiencing a panic attack, do not ignore the issue. Practice dealing with it before you sit down to the NCLEX. Some people just are not good test-takers, and everyone has room for improvement. 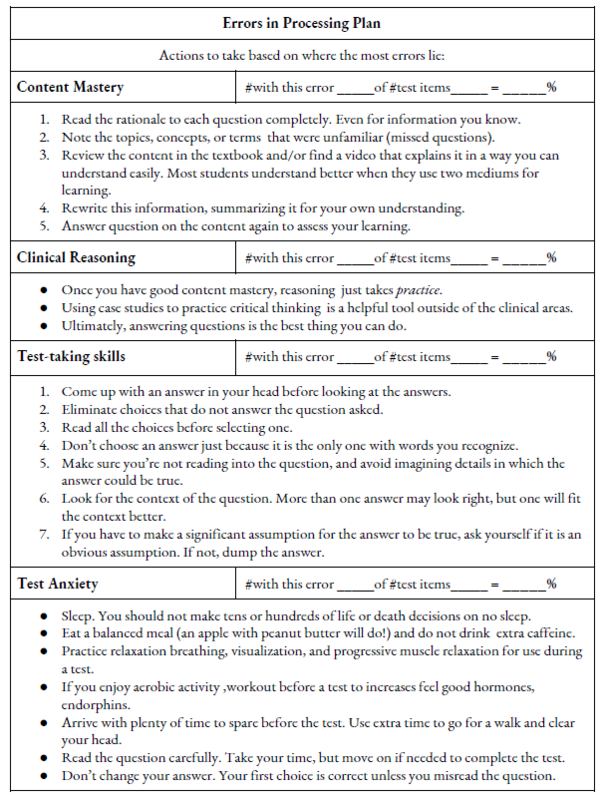 Once you have identified any areas of test-taking weakness, create and follow a plan to work on those areas! Clinical reasoning, an offshoot of critical thinking, is used more and more in the simulation lab, classroom, and on the NCLEX to mimic the “real world” more closely. There is a method to the madness, though! Eventually, in the real world, that will just be your “nurse’s intuition”! Step 3 : Make a plan. How you plan your studies should suit YOU and take into account whatever resources you desire. Taking the NCLEX within 2 months from graduation is ideal, though. Treat this as a full time job if you are able. Plan for coffee breaks, days off, small rewards, and time relaxing with friends and family. Step 4 : Take action. Every day, you must take some type of action. Sometimes that “action” will be purposefully letting your brain rest and your body go hiking! That is totally okay, as long as it is part of your PLAN. Step 5 : DOMINATE the NCLEX. Pass the test! There is NO reason you cannot pass the first time. Nevertheless, there is certainly no shame in having to take the test again. Just make sure you take some time to learn any lessons from the experience and redirect your study strategy! Step 6 : Pass meds to patients. ….Or whatever floats your nursing boat, you know? ‘Cause you have a license in a terrific profession and you can do what you want. 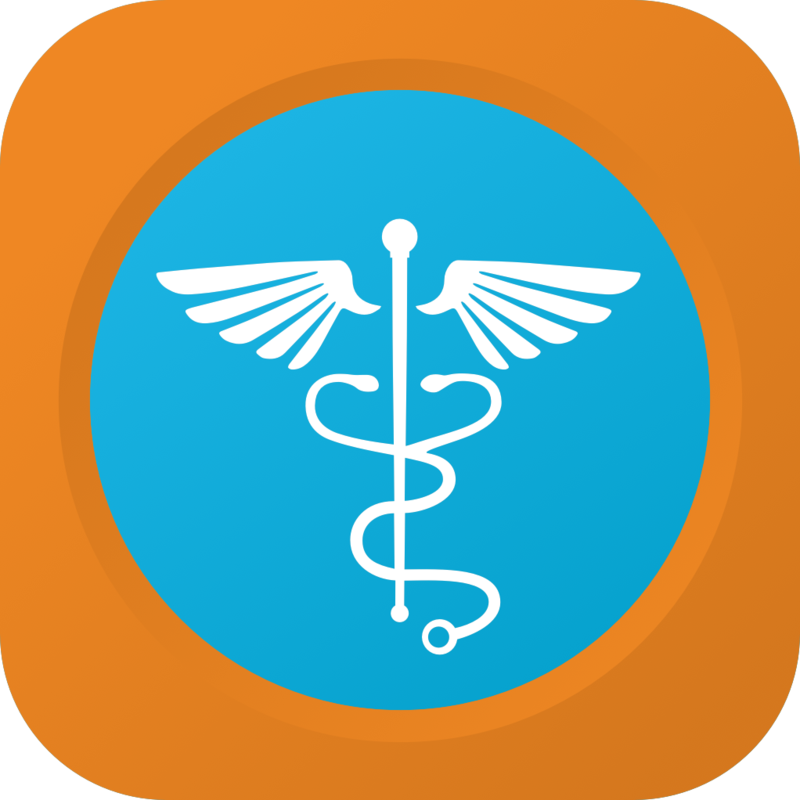 Practice your NCLEX question skills and clinical reasoning with our NURSING SOLUTIONS! Join our nursing community on Facebook & Instagram ! 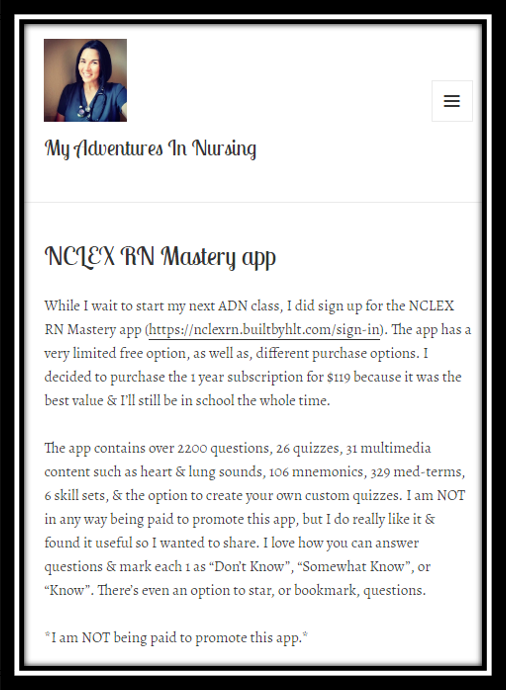 See what users are saying about our Nursing Mastery products! Thanks, Justine for bringing our app to your students to help them succeed! Thank you, Erin for the shout out! Best of luck to you!! !